Imagine you’re racing in the Grand Prix through the winding streets of Monaco. You’ve got the fastest, most exotic car. And you’ve been training for years. But, while your rivals zip along the harbor like electric slot cars, you barely move. It turns out, your wheels aren’t perfectly aligned. They’re each set in slightly different directions, creating tremendous friction. And it costs you the race. Racing cars isn’t unlike the race to market leadership. You need a great product (car). Funding from great investors (fuel). But if your competitors have those things, too, who makes it across the finish line first? The company with a fully-aligned sales organization, marching in the same direction. Their sales teams execute the same selling motions, messaging, and call structures, without much deviation from rep to rep. Most sales teams don’t enjoy such consistency. There’s usually a wide variety of haphazard selling approaches from rep to rep. The top 10-20% figure it out and enjoy massive overachievement. But their stellar performance is canceled out by everyone else who hasn’t cracked the code, leaving the team at break even overall. Top-notch sales teams are different. Their selling motions, messaging, and call structures are adopted across the team. They have more top producers. And they have fewer low producers. Consistent selling behaviors from rep to rep like this accelerates growth. Erratic behavior, on the other hand, introduces friction and unpredictability into your revenue machine. It’s like flooring a race car with the wheels all pointed in slightly different directions. Instead of deals moving smoothly from first call to close as if they’re going through a predictable production line, they’re thrown into a violent tornado. Few leads make it out the other side as revenue. Most of them are flung by the friction to a dark corner somewhere. Now for my favorite part: supporting all of this with data. Our team at Gong.io analyzed more than 2,000,000 sales call recordings from a few hundred companies. 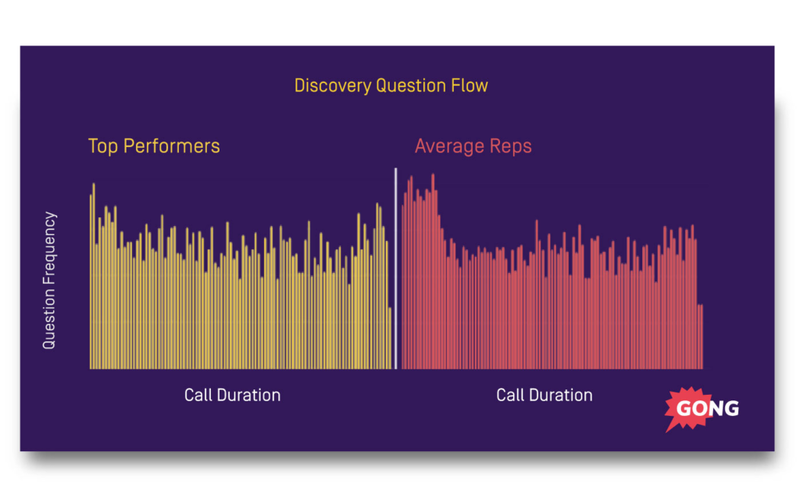 The calls in this data set were recorded, transcribed, and analyzed with AI to identify selling motions, call structures, sales messaging, and much more. Their sales teams have muchmore consistent selling behaviors from rep to rep. In other words, they are dependable in their selling motions, their messaging, and their call structures. That’s important because it leads to a much smaller gap in quota attainment between their top producers and their “middle-of-the-pack” producers. They have more reps meeting or exceeding full quota. 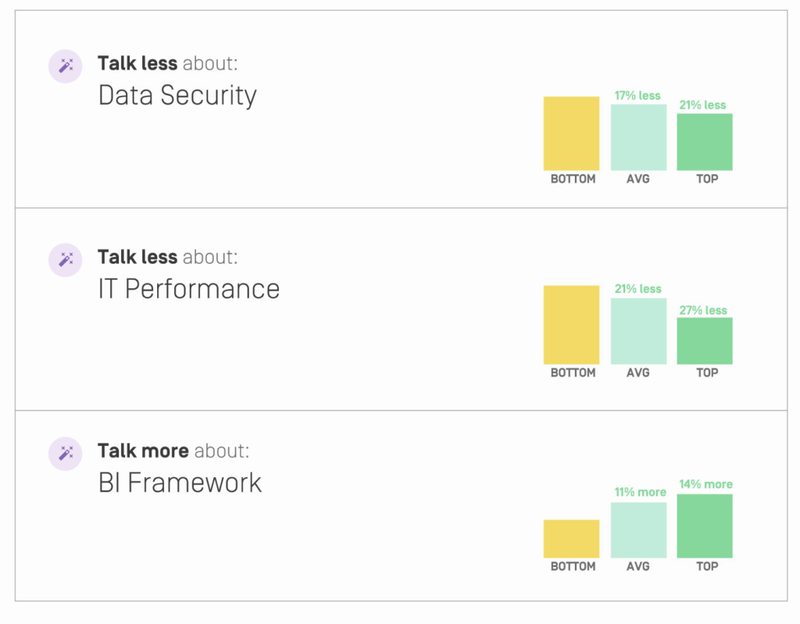 Let’s dig into some of the data we unearthed to illustrate what I’m talking about. 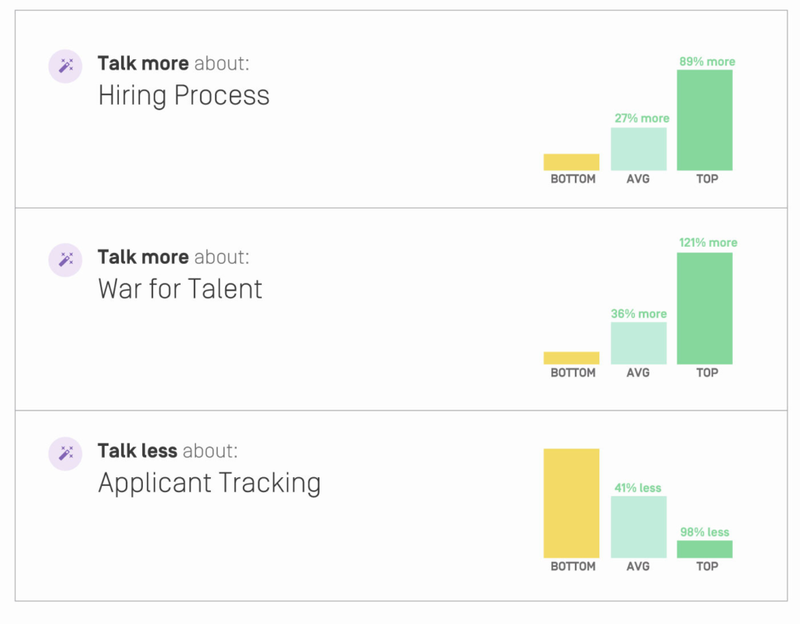 Check out the rate of question asking in market-leading sales organizations. It’s hard to identify a crisp difference between the two groups because both of them behave fairly consistently. In this scenario, top producers have a balanced dialogue. 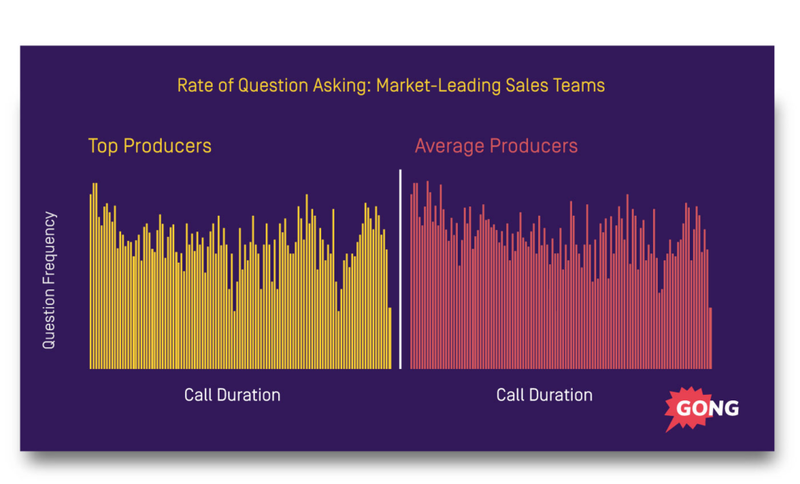 Average producers, on the other hand, “front load” their sales calls with a barrage of questions at the beginning. It’s as if they have a question checklist they’re working through. Disparities like this destroy predictability in your sales machine, especially when they compound over many sales behaviors. The top producers at these companies are on a totally different plane than the average sellers. That is less a testament to the top producers’ greatness and more a testament to the average reps’ erratic execution. Let’s look at another insight from our analysis of call structures. The differences in how top producers and average producers at market-leading companies flow through these segments are negligible. There’s less than half a standard deviation in difference. However, in non-market-leading companies, the call structures vary widely. Individual reps spend unpredictable amounts of time on discovery, pitch, etc. which occur at inconsistent points in the call. Here’s one more data point that illustrates what I’m saying. Top and average producers at market-leading companies mostly deploy similar sales messaging. Sure, there’s some variation between the groups, but not much. Top and average producers are talking about totally different things. This is a living nightmare in which every sales rep makes up their own narrative as they go. Individuals in this scenario “do their own thing,” whether they’re a top-notch seller, average, or about to be fired. But in winning companies, the differences in reps’ behaviors are marginal. This consistency is the type of stuff that launches you into market leadership. …While vacationing at your villa on a private beach, piña colada in hand. Then you have an “emergency brake” on your revenue growth. You may have cracked the code in terms of your product, your market, your team, and everything else. But if your sales team is all over the map, you’ll be pegged low in your industry’s pecking order. On the other side of this coin, consistency across your sales team unleashes growth. It’s like taking the emergency brake off while driving a Porsche 991 Stinger. That’s why we hosted a live webinar with 5 top-notch VPs of Sales to address how to do it. A rich list of ideas to get more reps exceeding quota. Claim your seat at the webinar now.